Europe Matters to End Discrimination! 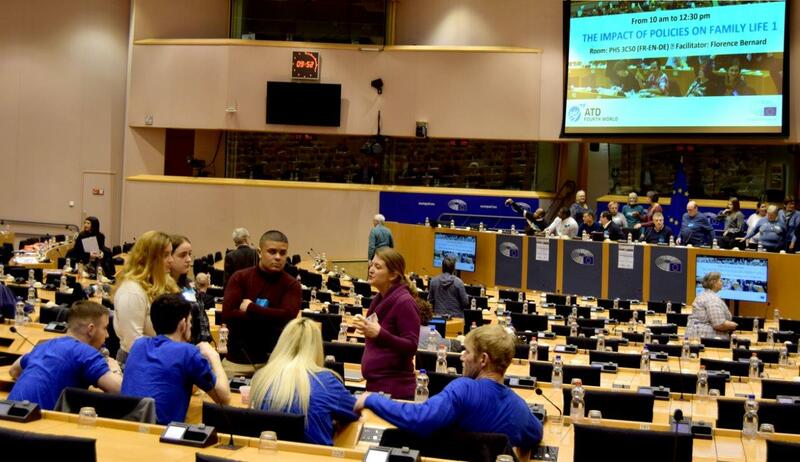 ATD’s Youth Group at the European Parliament! 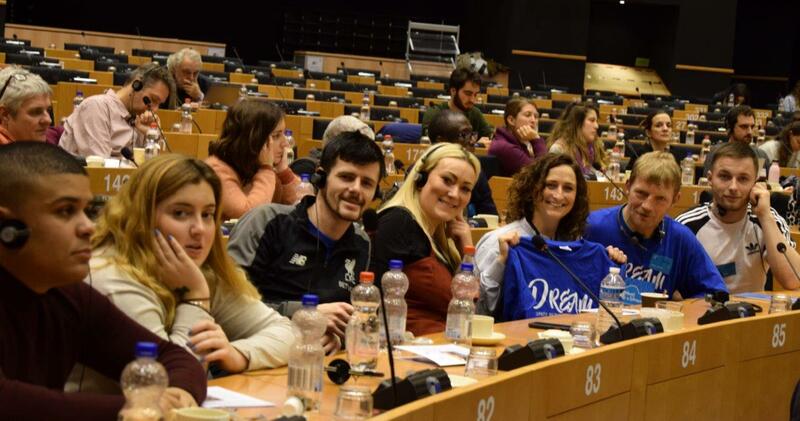 For the two past months, All Together in Dignity prepared a delegation of 7 participants to the 15th ‘European ATD People’s University’ which took place at the European Parliament in Brussels on Wednesday the 6th of February 2019. The group from ATD consisted of 7 volunteers involved in the ATD’s Unity in the Community Youth Group (UCYG). Netherlands. They are a group of young adults (aged between 18 – 25) who are social activists and leaders in their communities. 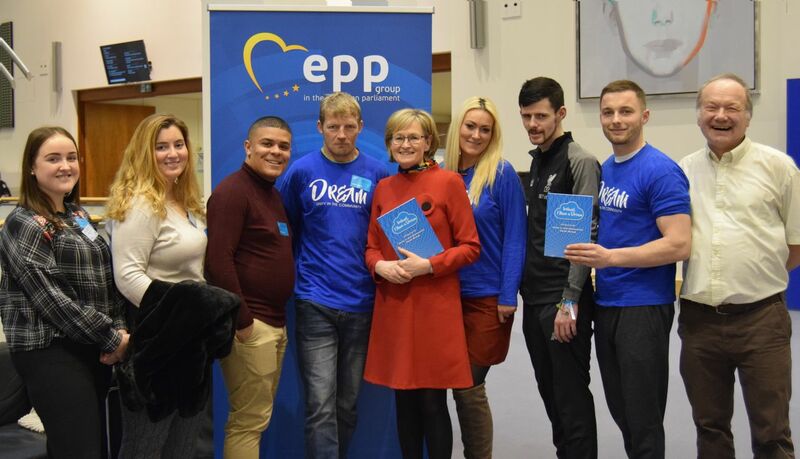 In 2018 the members of this group created the ‘Ireland, I have a Dream’ project. Inspired by the infamous speech by Martin Luther King they created a space for young people in Dublin to find their voice as leaders and to explore the inequalities of poverty in the context of their own lives, bywriting about their dreams. Together they developed a collection of speeches, poems, raps and spoken word, in turn creating their own ‘I have a Dream’ publication. 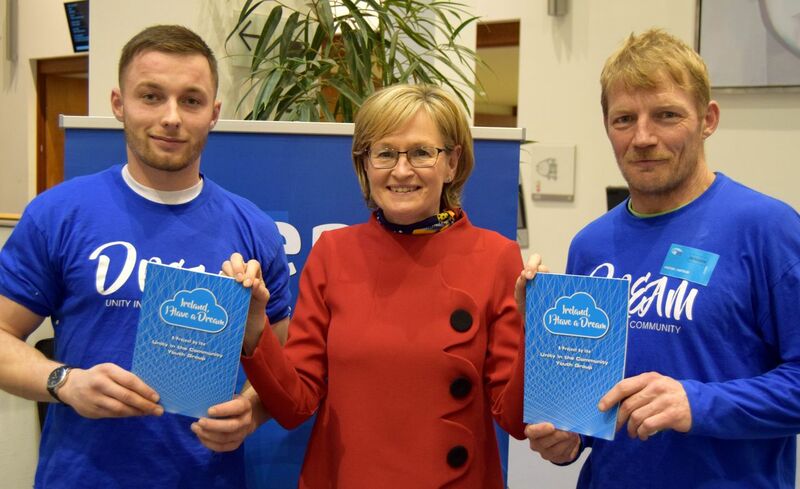 This book was successfully launched on the 6th of July last year at a joyous event in MountJoy Square which included games, spoken word, live music and speeches. This year, the discussion in the European Parliament revolved around the input of selected groups of individuals from 9 European countries. These delegates all coming from deprived communities around the EU took the opportunity to come together with their ideas and to both collectively and individually address MEP’s. They had the chance to present their research, concepts and resolutions based on the 3 topics of the 2019 People’s University and to ask the EU to take action on these matters. 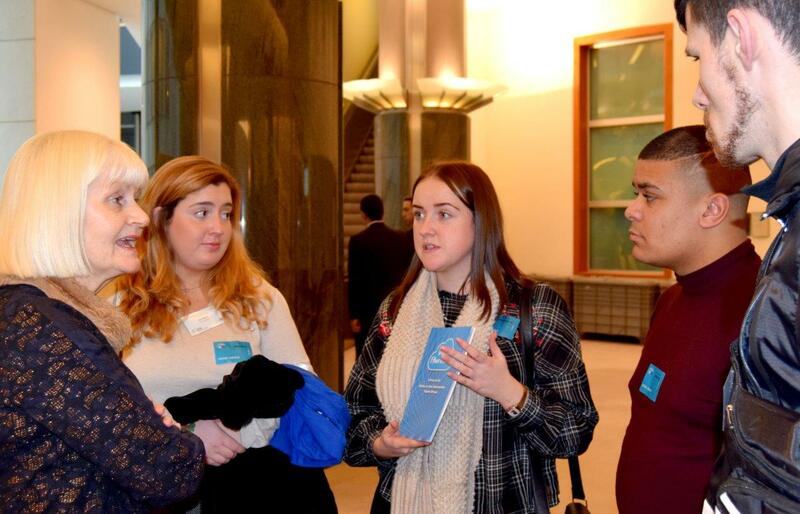 In preparation for the 2019 People’s University, ATD Ireland run first “Europe Matters”, a “Communicating Europe” supported by a grant from the Department of Foreign Affairs and Trade. The impact of this 2 months project is presented in the 4 pages PDF document here: ATD Europe Matters Presentation. Discover also the video produced by the project participants! The Irish delegation joined the discussions on the impact that various national and European policies have on family life for citizens in poverty. The policy the delegation discussed is the missing “socio-economic status” as recognised ground of discrimination in the Irish Equal Status Act. At present, within Irish law, there are 9 recognised grounds of discrimination, but we are working to try and add a tenth ground, one based on a person’s socio-economic status. The UCYG supported by other ATD volunteers started to look at how people suffer unequal treatment based on their socio-economic background, when dealing with Irish public services and in pivate context. Personal stories from people have been collected, where they tell about times they have experienced this type of discrimination, when dealing with any public service ( be it the police, hospitals, schools, etc.) or in every day situation in the street, in shops, when looking for private renting. From having to lie about where your’e from in order to get a job to having to get people with a “better” telephone voice to represent you when dealing with services over the phone – the stories have been plentiful and unjust. 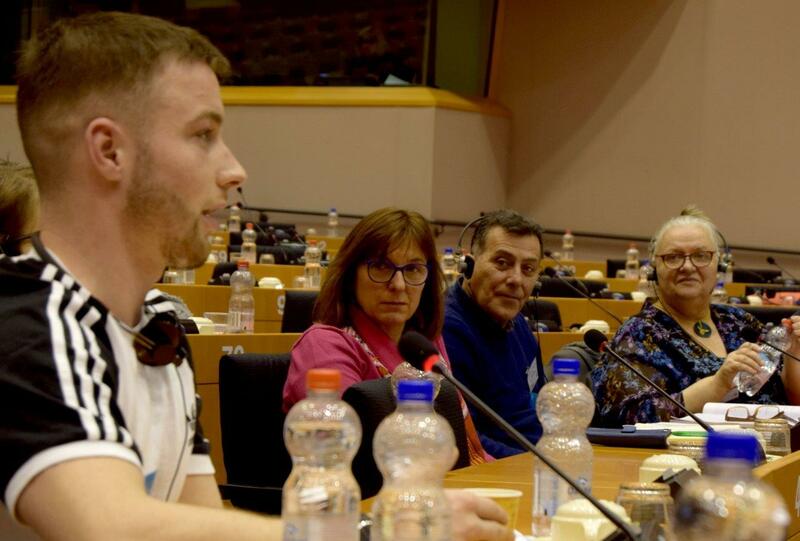 At work in Brussels, the members of the Irish Delegation tried to convince Irish European representatives and MEPs beyond Ireland of the importance of working to try and ensure this protection is written into equality legislation, so that all citizens of Europe might be better protected before the law. 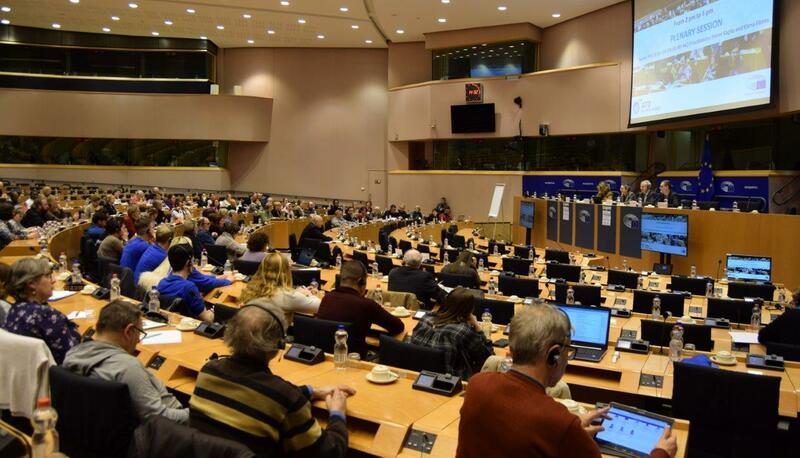 Read here the draft statement the UCYG addressed to all Irish MEPs on the People’s University Day. As Martin Luther King once said “You are not only responsible for what you say, but also for what you do not say” and so in keeping that in mind, the UCYG will continue to speak out until they are heard. This project and the trip of the Irish Delegation have been financialy supported by the “Communicating Europe” DFAT Initiative, Maired McGuinness MEP and Lynn Boylan MEP, and the French Foundation “Fondation ATD”. ← The “Corner Stones” project to be launched on Social Justice Day!